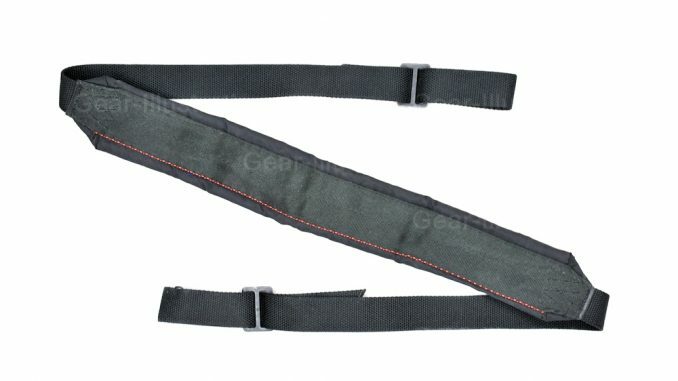 Black padded two-point sling for carrying machine gun: M60, M240, M249 SAW, etc. A Sea-Air-Land (SEAL) team member fires an M60 lightweight machine gun at a group of targets from a hilltop vantage point during a field training exercise. as members of 1st Platoon, Charlie Company, TF 1-64 AR participate in table 12 exercises at Udairi Range in Kuwait Monday, 1/28/02. All from Task Force “Desert Rogues,” Charlie Company, 1st Battalion, 64th Armor Regiment, 2nd Brigade Combat Team, 3rd Infantry Division from Ft. Stuart, Georgia.